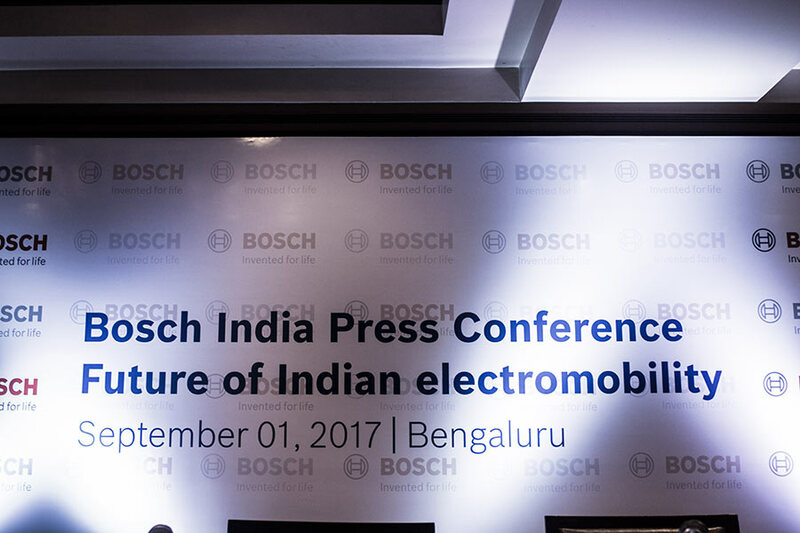 Mr Peter Tyroller, member of the Bosch board of management was here in Bengaluru when Bosch India made an official announcement about its plans to enter the electro-mobility segment in India. 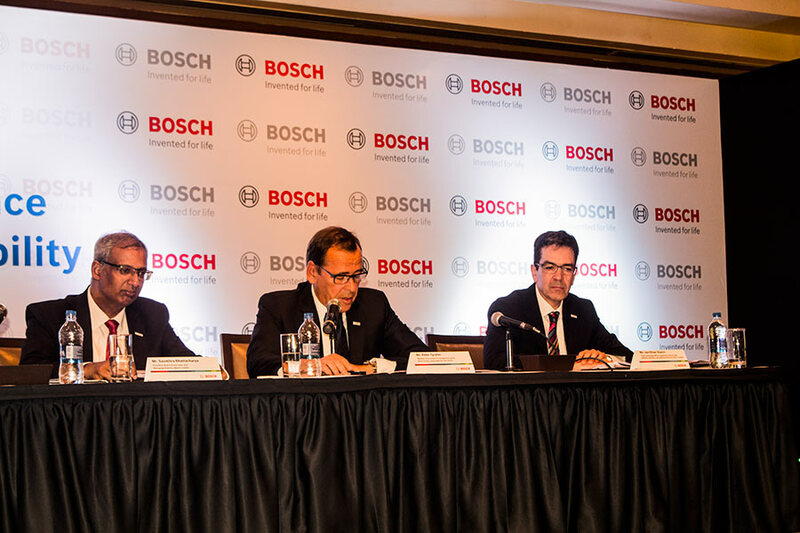 Bosch India will provide end-to-end electrified solutions catering to the Indian market. In the Press conference, Mr Tyroller appreciated Central Government’s initiative to have an all-electric fleet in India by 2030 and also the schemes like FAME (Faster Adoption and Manufacturing of Electric Vehicles). The support from Government will help shift the transition to electric-only future Mr Peter added. Although Bosch doesn’t want to manufacture electric cars or bikes, its role is to facilitate OEMs with the right electro mobility solution. 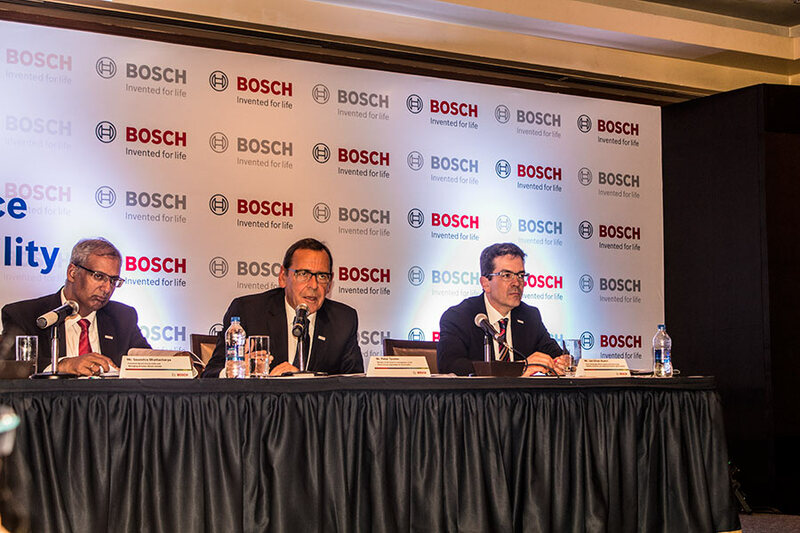 Bosch refused to reveal any names of OEMs that it is currently engaged with. A study revealed 1.2 million electric 2 wheelers will hit Indian market by 2020. 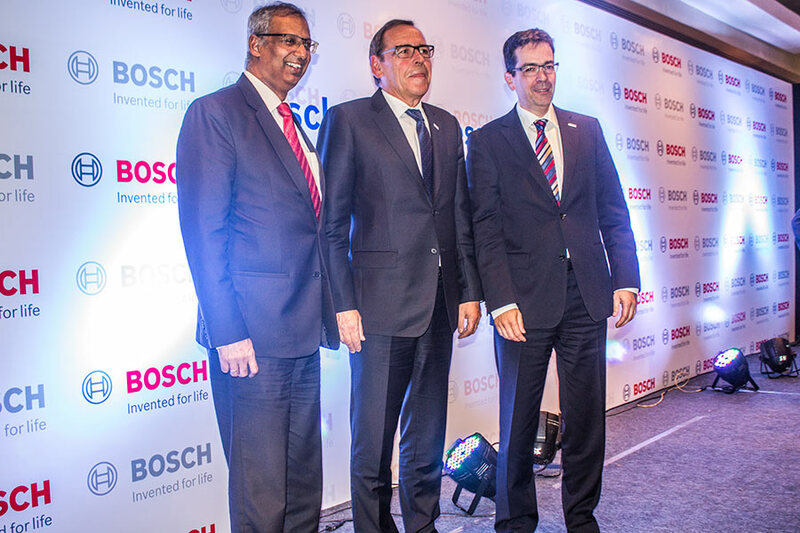 Mr Jan Oliver Roehrl, CTO, Power Train, Bosch India and Mr Soumitra Bhattacharya , Managing director, Bosch Limited and President, Bosch Group India were present during the time of announcement. You can add more to this story by commenting at Roads Forum.